At the crossroads of highbrow and brilliant. Thanks, New York Magazine. Why assume it was a "he?" One dog was from out of town. Looks like the British borrowed my idea too. 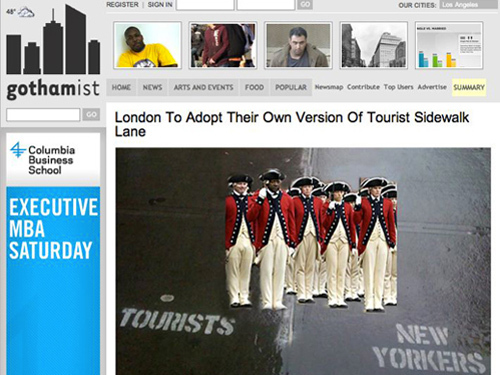 London is directing slow movers to walk in a “shopper lane” along Oxford Street.